The fundamental design of your roof can have a range of different impacts on the function, aesthetic and value of your property. If you’re looking to have a new roof installed on your home or business premises, the decision between a flat roofed or a pitched roof can be a tough one. There are advantages to both, so in this article we thought it would be handy to take a look at the pros and cons of each so you might have a better idea of which would be most suitable for your property. Pitched roofs are the traditional domestic roofing solution and they are still popular today for a variety of reasons. Versatility is one of them. While flat roofs can be built to accommodate foot traffic, pitched roofs can be converted to house substantial extra living space inside. Attic bedrooms, bathrooms, playrooms, storage rooms, offices and more can be designed to fit neatly under a pitched roof. This can be invaluable should you require extra room in your property or would like to make your home more appealing for future buyers. 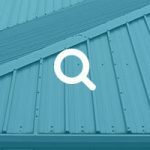 Price is always a factor when it comes to any roof, and while maintenance might be less of an issue, the initial cost of construction can be comparatively high. 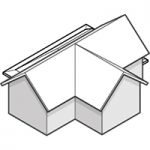 In addition, pitched roofs also take more time to install. Homeowners as well as business owners might rather face less initial disruption by choosing a flat roof, instead of the time-intensive nature of pitched roof installation. Flat roofing is becoming more and more desirable, particularly for commercial properties. Flat roofs are typically at their best on smaller buildings, due to their compact nature. This makes them ideal for extensions and garages, but doesn’t render them unsuitable for large properties. When people think of building a new roof, one of the first things that comes to mind is the sheer amount of work required. Flat roofing has a lot to offer in this regard, being quicker and easier to install than pitched roofing. For business in particular, the quick turnaround time on a flat roof installation can be very appealing due to vastly reduced downtime. 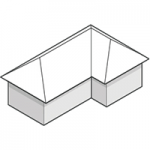 Combine this with much cheaper design and installation costs compared to pitched roofs, and you can quickly save a bundle by opting for a flat roof. Most of the disadvantages of flat roofing are related to maintenance. Flat roofs typically require more hands-on attention to ensure they are performing to their fullest for as long as possible. For larger properties, this could be a discouraging prospect. 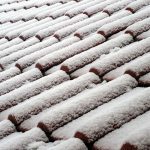 Drainage is often less efficient compared to pitched roofing, too, so property owners in areas which see heavy or prolonged rainfall may think twice. This can, however, be rectified with a green roof, or dedicated drainage solutions, so you should talk to your roofing company to see if this approach is viable for you. Both pitched and flat roofs offer a unique visual appeal for any property. Pitched roofing is seen as the more traditional option, while flat roofing is popular with modern and contemporary designs. Both roofing styles can be constructed with metal materials, and metal pitched roofs can be an excellent blend of traditional and modern designs. Flat roofing commonly has a neat, sleek and compact appeal. For commercial properties, a flat roof can create a strong modern atmosphere. 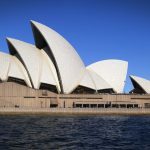 This can help strengthen the image of the business as a whole, and can be influential if you’re planning to undergo a rebranding or redesign of your property. Whatever your choice of roofing style, you’ll need a professional team of roofers to maximise the performance, design and efficiency of your roof. JTC Roofing can provide exactly that. JTC Roofing are the metal roofing specialists, carrying out new metal roofing installation for properties of all sizes throughout the UK. Our experts can advise on the most suitable roofing option for your property and will strive to provide a friendly, reliable service every step of the way. 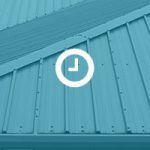 To find out more about or flat or pitched metal roofing options, don’t hesitate to contact us today.